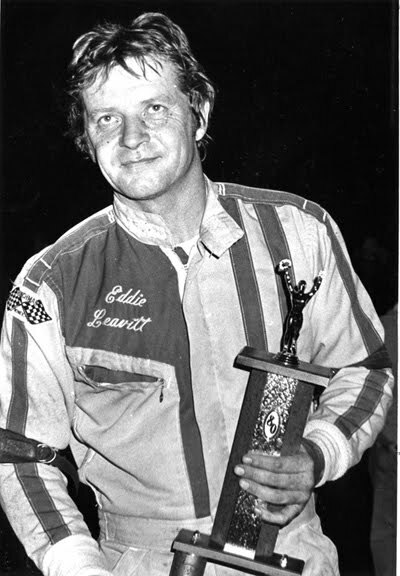 Des Moines, Iowa (July 28, 1976) - Eddie Leavitt of Kearney, Mo., capitalized on good track conditions Wednesday night and led all the way as he captured the “A” feature on the Elder-Forester Invitational sprint car program at the State Fairgrounds. 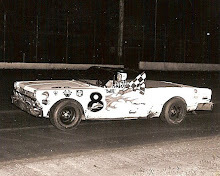 Leavitt, who won $1,500 before a crowd of nearly 5,000, set a 25-lap record - one of three broken. Leavitt's clocking of 9 minutes and 56.82 seconds wiped out the mark of 10:29.09 set by Jay Woodside of Kansas City, Mo., in 1967 for the 12 ½ -mile race. Bobby Marshall of Dallas, Tex., finished second, Joe Saldana of Speedway City, Ind., was third, Roger Larson, Madison, S.D., fourth and John Stevenson of St. Paul, Minn., took fifth. Leavitt, who just started driving the car owned by Fred Atin of Tucson, Ariz., two weeks ago, felt the condition of the track was a factor in his one-half straightaway victory over Marshall. Marshall slid past Saldana on the twenty-fourth lap to take second-place money of $750. But his total for the night reached $870 after setting a one-lap record in qualifying and finishing fourth in the trophy dash. 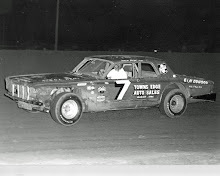 The native Texan powered his sprinter around the half-mile oval in 23.036 seconds to wipe out a 20-year-old record set by the late Jud Larson of Kansas City, Mo. Marshall was one of five drivers to go under Larson's record. The others were Roger Rager of Mound, Minn., Saldana, Larson, and Doug Wolfgang of Des Moines, who was sixth in the feature. The “B” feature was won by Lenard McCarl of Des Moines, with Dave Ellis of Pacheco, Calif., second and Gary Johnson of Colfax third. McCarl passed Johnson for the lead on the sixth lap of the 15-lap race and was never threatened. McCarl's biggest problem, however, was his own car, which threw oil onto him all during the race and lost its power steering midway through the event. Mark David of Ankeny was the “C” feature winner over Roy Petz of Gilmore City. 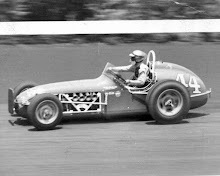 The other record broken came in the third heat when Ralph Parkinson Jr., of Kansas City, Mo., set an eight-lap mark of 3:09.94. The clocking eclipsed a run of 3:16.53 by McCarl in the first heat. 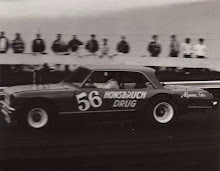 The record of 3:18.38 was set by Chuck Lynch in 1969. 1. 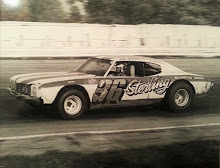 Eddie Leavitt, Kearney, Mo. 2. Bobby Marshall, Dallas, Tex. 3. Joe Saldana, Speedway, Ind. 4. Roger Larson, Madison, S.D. 5. John Stevenson, St. Paul, Minn.
8. Jack McCorkell, Redwood Falls, Minn.
9. Butch Bahr, Lincoln, Neb. 10. Gary Scott, Holts Summit, Mo. 12. Ralph Parkinson Jr., Kansas City, Mo. 15. Rich Brahmer, Wisner, Neb.